Tennis ace, Serena Williams, marked her return to the WTA Tour with a first round win over Zarina Diyas in the first round at Indian Wells. 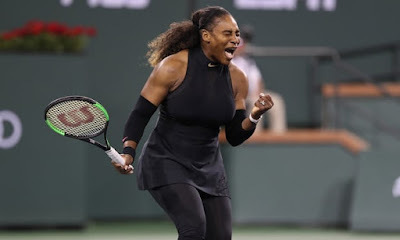 She shook off the rust from a 15-month layoff due to pregnancy to win her opening match at the WTA Indian Wells event with a 7-5, 6-3 victory over Zarina Diyas. Serena has won her first match in her comeback at the BNP Paribas Open after a 14-month layoff for the birth of her first child.